Did The IMF Reveal That Cryptocurrency Is The New World Order End-Game? First, there are the schemes they spring on the public out of nowhere haphazardly in the hopes that the speed of the event along with some shock and awe will confuse the masses and make them psychologically pliable. This strategy loses effectiveness quickly, though; the longer the plan takes to implement, the more time the people have to reconsider what is actually happening and why. These were the kinds of tactics I had seen used by disinfo agents in the past; people arguing in favor of the Federal Reserve or globalism in general, or the people claiming that man-made global warming was "self-evident". This was not the behavior I had come to expect from liberty movement activists, who at that time were focused on facts and evidence to win the information war, rather than dishonest mind games and lies. In 1988, The Economist, a globalist publication, “predicted” (or rather, announced) that a global currency system would be launched in the year 2018. It is now clear that crypto and the blockchain are that system. 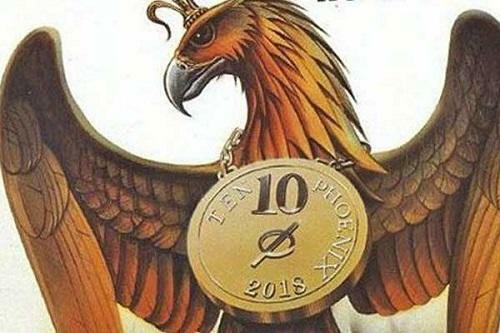 This system would eventually use the IMF’s Special Drawing Rights basket as a kind of bridge to a one world currency, which they referred to as the "Phoenix". Though some people claim that the SDR itself is not a currency, globalists apparently disagree. The very core of the movement toward global crypto, I believe, is the destruction of anonymity in trade through a "cashless society". When all trade is watched, all trade can be controlled. Beyond this, by monitoring trade transactions on a macro-scale, globalists can also, in a way, monitor mass psychology and predict public behavior to a point.